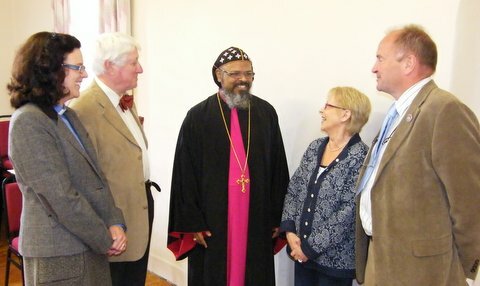 Recently the Indian Orthodox community had a special service of celebration when they were visited by their diocesan bishop Dr Mathews Mar Thimothios. The service took place in St. Michael’s Church in Blackrock where the congregation meets on a fortnightly basis for much of the year. Members of the Indian Orthodox community travelled from across Munster and beyond to attend. On his arrival the bishop was greeted by the parish clergy and a number of parishioners. Included in the group is the curate Revd. Sarah Marry and parishioners Jim Queally, Wendy Gilbert and David Kerr.